For almost eight months, Homechoice Planners and Construction Corporation has worked with this certain project at Golden Glow Village. Last June 22, the project was satisfactorily completed and HPCC turned it over to the client on June 26. Originally, this project is designed as a one-storey residential building; later on the owner decided to make some changes and requested to turn it’s balcony to a second-storey room. Known for building customized houses, HPCC is committed to ensure most satisfied customers through delivering products according to the client’s desire. 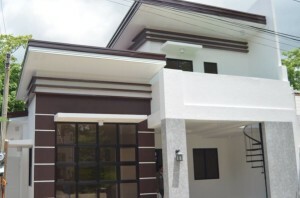 It is always a privilege for Homechoice Planners and Construction Corporation to be able to complete a project and turn it over to its owner. It’s rewarding to see the smile plastered on the client’s face when they get to receive the keys and certificate of the house. Thank you to the family of the newly turned over house. Thank you for choosing and trusting HPCC to be the builder of your home. Congratulations to Homechoice Planners and Construction Corporation! Congratulations also to the new homeowners of Golden Glow Village!